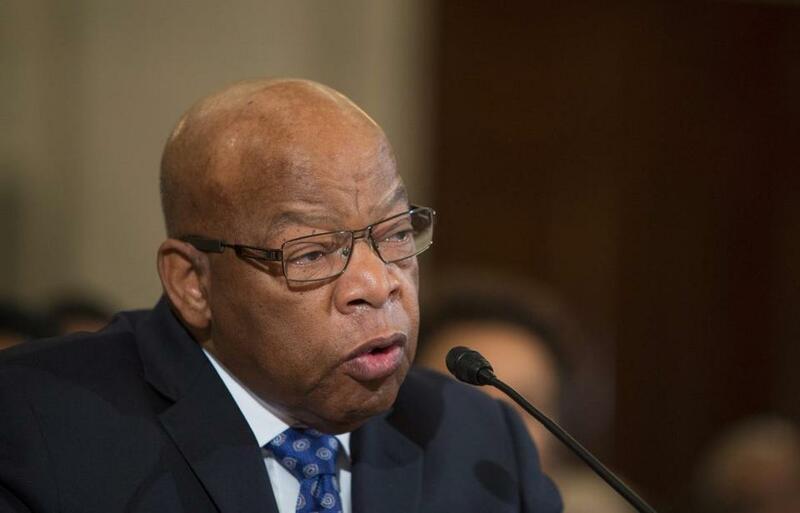 John Lewis, a Democratic US Representative from Georgia, said he would not attend Donald Trump’s inauguration. President-elect Donald Trump took Twitter aim at Georgia Democratic Representative and civil rights icon John Lewis early Saturday morning after the congressman called the soon-to-be 45th president of the United States illegitimate. ‘‘You know, I believe in forgiveness. I believe in trying to work with people. It will be hard. It’s going to be very difficult. I don’t see this president-elect as a legitimate president,’’ Lewis said in an interview with NBC’s ‘‘Meet the Press’’ that will air on Sunday. ‘‘I think the Russians participated in helping this man get elected. And they helped destroy the candidacy of Hillary Clinton,” he said. Lewis said he would skip Trump’s inauguration in the NBC interview. 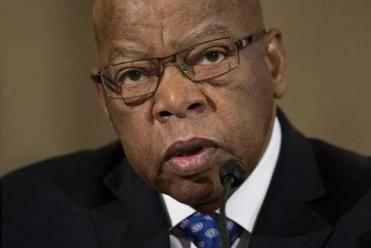 Lewis is among several lawmakers, all Democratic, who said they won’t attend the inauguration. Among them is Katherine Clark of Massachusetts. Democratic Representative John Lewis of Georgia says he doesn’t view Donald Trump as a legitimate president and will be skipping the inauguration. He said Friday’s inauguration would be the first he has missed in three decades. Lewis entered national politics in the 1960s; he was one of the original freedom riders. He coordinated the 1963 March on Washington with other civil rights leaders, including Martin Luther King Jr., who gave his famous “I Have a Dream” speech there. Lewis was beaten by the police in Selma, Ala., in 1965 when he crossed the Edmund Pettus Bridge as part of a planned march from Selma to Montgomery. In 2011, he received the Presidential Medal of Freedom. Last year, he shared the National Book Award for a trilogy of graphic novels titled “March” about his civil rights activism. The federal holiday commemorating the life of Martin Luther King Jr. is Monday. Trump was criticized by both the right and left for his comments. Material from the Associated Press was used in this report. Aimee Ortiz can be reached at aimee.ortiz@globe.com. Follow her on Twitter @aimee_ortiz. Heather Ciras can be reached at heather.ciras@globe.com. Follow her on Twitter @heatherciras.